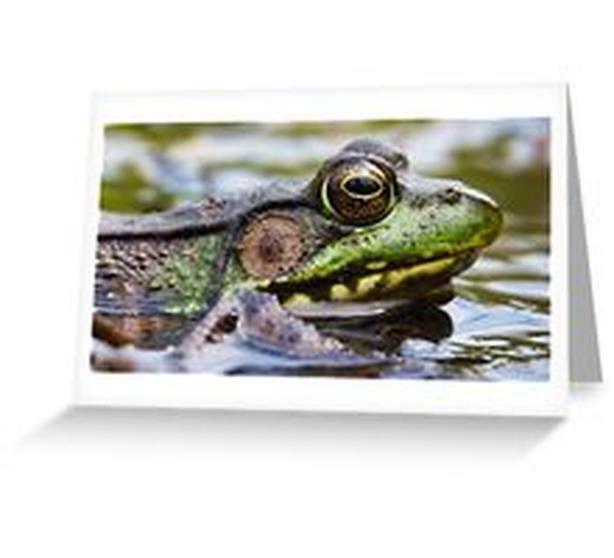 Bullfrog, up close and personal, on a variety of gift items. Pictured is a card, great to give to someone special. See website below for this, and other items with same design. All new, all by Canadian Photographer Bryan Smith.